According to Zillow, the median home value in Bethel was $158,000 in late 2018. There are retirement communities near Bethel, see link on right. Bethel is made up of hamlets and lakes and is in the scenic Catskill Mountain Region; New York City is just a couple of hours away if things get too quiet. Bethel is isolated and not a walkable community. 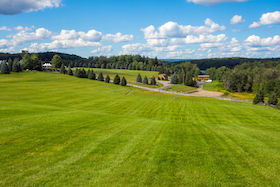 Bethel is located in the Catskill Mountain Region and has an average January temperature of 21 degrees, and an average July temperature of 68 degrees. The average annual snowfall is about 46 inches. Bethel Woods is a performing arts center situated on 800 acres surrounding the site of the 1969 Woodstock Festival. The campus features a 15,000 seat outdoor amphitheater, and since 2006, has presented hundreds of performances by musical artists including Bob Dylan, Elton John and Phish. The center has over 220,000 visitors annually. 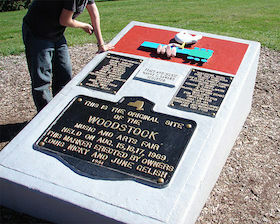 The Museum at Bethel Woods opened in 2008, and is home to a collection of artifacts and permanent exhibits of the Woodstock Festival along with various aspects of life in the Sixties including fashion, music and rock heros, along with political protests that occured during that era. The crime rate in Bethel is below the national average. Sullivan County has an airport in Monticello, about 6 miles away; Stewart International Airport in Newburg is the nearest large airport, about 50 miles away.